As the author of over 2,000 articles on the subject, you might say that Bridgette Meinhold knows a thing or two about green architecture. 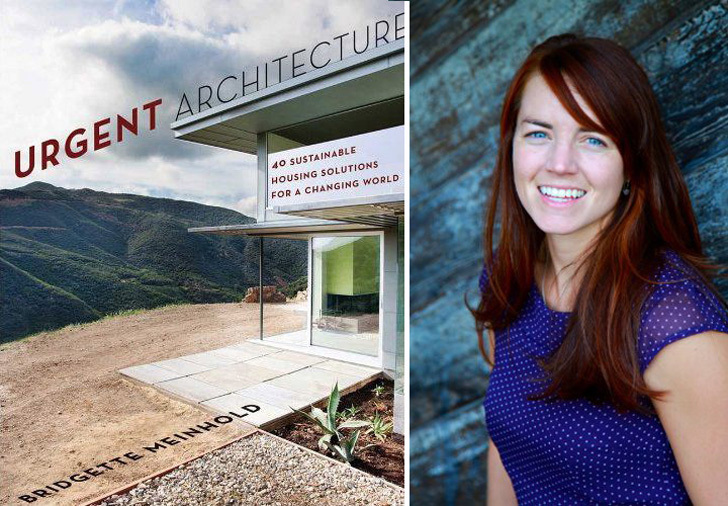 In her new book entitled Urgent Architecture, Ms. Meinhold, who is also the architecture editor here at Inhabitat, puts her accumulated knowledge to paper, profiling "40 sustainable housing solutions for a changing world." In the pages of the book, you'll find a collection of some of the most innovative, adaptable and affordable shelters on the planet - ranging from modern yurts to homes that float on water to pop-up tents for the homeless. The book is on sale here, and we had a chance to check it out; read on to see our review as well as select images of some of the featured projects! 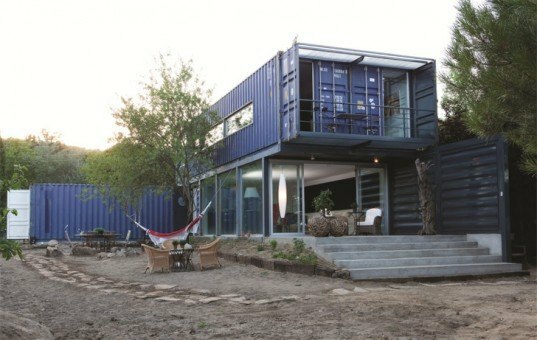 James&Mau’s Casa El Tiemblo is an energy-efficient home made of four stacked shipping containers. Urgent Architecture is an organized, straightforward, no-nonsense collection of prefabricated, adaptable, affordable and disaster/emergency housing. Ms. Meinhold doesn’t wax poetic or use any of the academic industry jargon that you might see in other architecture books. Like its name implies, the book gets right at the heart of the matter – how climate change, wars, dwindling resources, poverty and natural disasters are affecting our world and what we need to do to adapt architecture accordingly in order to survive. In fact, the introduction, which is a mere 7 pages, succinctly outlines the reasons that we need better housing and serves as a crash course for anyone who might not yet be familiar with all of the issues above. 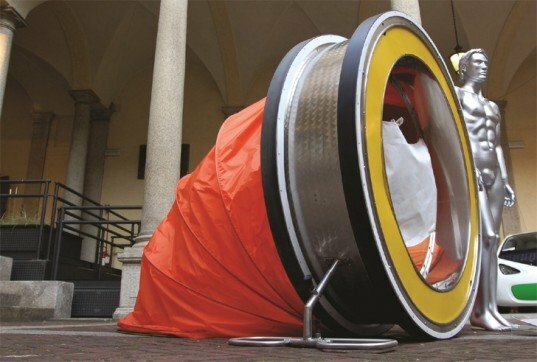 WheelLY is a portable shelter that serves as a mobile home for the homeless. The book is organized into five easy-to-digest sections – Rapid Shelters, Transitional Shelters, Affordable Housing, Prefab Housing and Adaptable Housing – each with a variety of examples (some built and some just prototypes). Every project features photos, illustrations and line drawings (there are over 200 in the book in total) as well as useful information like cost, architects, materials suppliers and other resources. Meinhold’s explanations are easy to follow, even for someone who is not well-versed in architectural design. Urgent Architecture is accessible to anyone wanting to learn about sustainable housing design, but also informative enough that we can imagine it being used in a classroom setting as well. Whether you’re an architect hoping to increase your knowledge, a student of sustainable design, or a builder looking for ideas, we think Urgent Architecture is a valuable resource that you’ll keep referring back to time and time again. Great work I look forward to your newsletters. Great and super-important idea, congratulations Bridgette! James&Mau's Casa El Tiemblo is an energy-efficient home made of four stacked shipping containers. Lift House in Bangladesh was built to be able to withstand floodwaters from the area's heavy rain. LifeCube was designed to be able to house a family of four following a disaster. In addition to being pleasing to the eye, the Porchdog House can withstand hurricanes and flooding. Located in Pakistan, this series of straw bale homes are built by local people out of regionally appropriate materials.